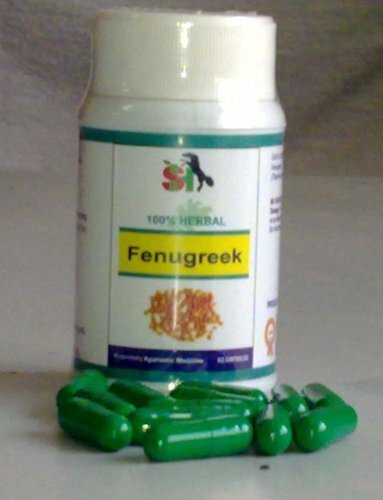 We are instrumental in providing our clients a superb quality Ayurvedic Capsules. Offered capsules helps to improve breast milk production. Our provided capsule is processed using optimum quality chemicals and advanced technology by our professionals. Our capsule is well known for the quick and fast response. Apart from this, we provide this capsule in various packaging options, as per the requirement of our clients. We, Sriram Herbals, established our operations in the year 2000, as one of the distinguished manufacturers and exporters of an extensive assemblage of Herbal Medicines. Our product range comprises of Breast Uplift Oil, Naga Champa Massage Oil and Breast Uplift Capsules that is processed and packed under hygienic environmental conditions. All of our products are based on Ayurveda and we make use of pure & natural ayurvedic ingredients for the preparation process. Since our inception, we have been determined to proffer supreme quality to our precious customers and in the future also, we wish to continue with the same approach. At our end, we have set up a production unit that comprises of advance and latest technology based machines & equipment that support us in processing all the medicines. Furthermore, all these strong and efficient machines help in proper storing of the proposed collection. In addition to the proposed assemblage, we are highly acclaimed for our standardized packaging and on-time delivery, within the committed time period, all over the world.